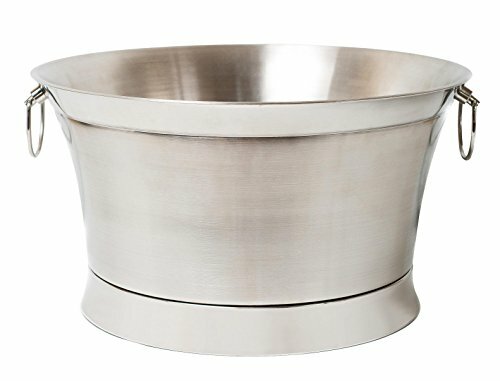 Dress up your indoor or outdoor table with our stylish BirdRock Home Stainless Steel Beverage Tub. Double wall design keeps drinks cold without condensation. Works great for parties, tailgates or events. Care instructions: Hand wash with warm water and mild soap. Wipe with a soft dry cloth. Made in India. Large 20-Inch beverage tub holds over a case of bottled soda, beer, or water, or up to 11 wine/champagne bottles.